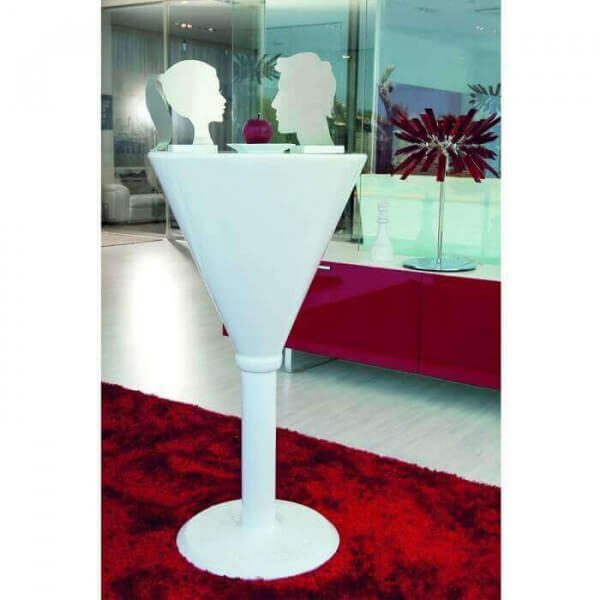 Jet Set high light table for indoor and outdoor. 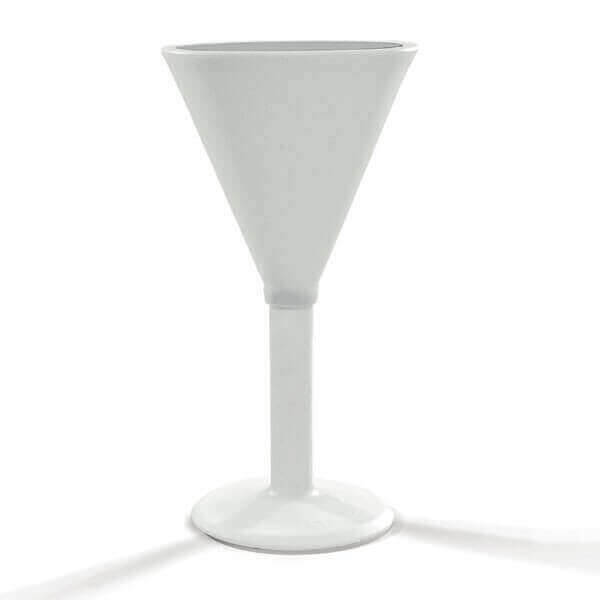 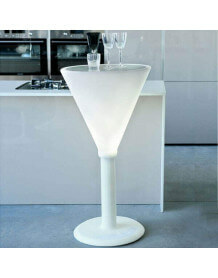 Eat standing shaped glass chalice is ideal to illuminate your evenings! 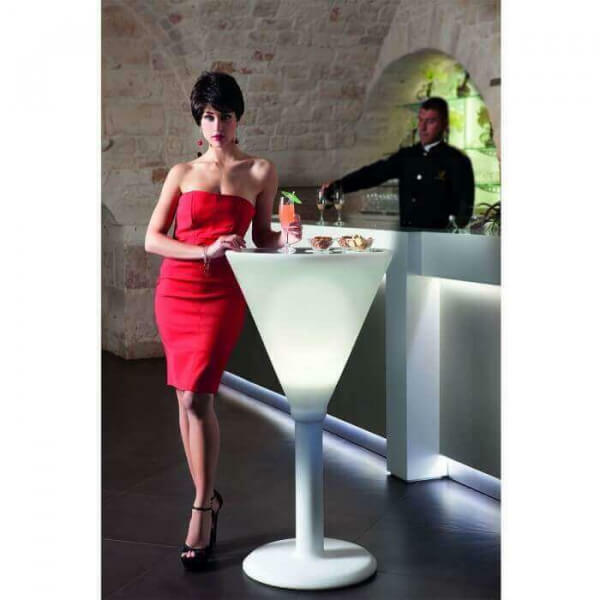 The table is made of high quality resins in the principle of rotational molding in Italy. 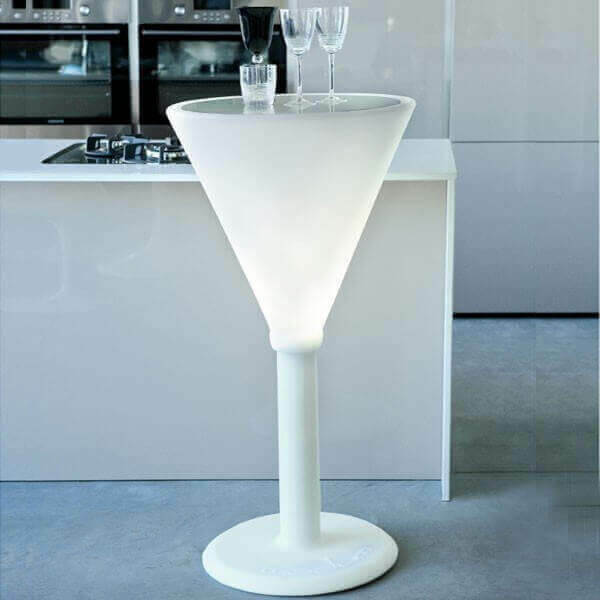 The top is PMMA glass in order to clean the table easely.